The Governor’s 30-day budget amendments deliver new, compromising cuts to home care and MLTC. These cuts further drive into the red a system that over half-a-million New Yorkers and their families depend upon. 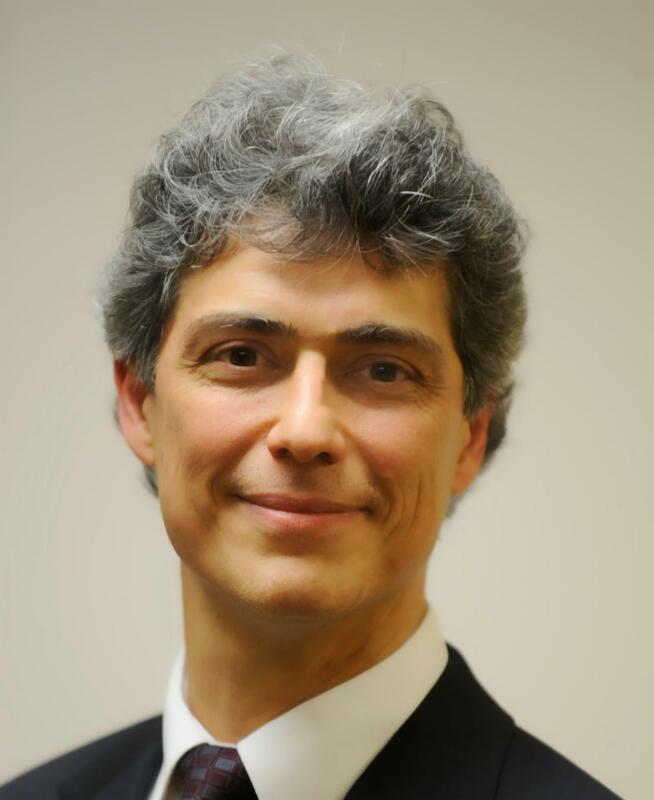 HCA has responded with a mark-up of the Article VII budget bill. We ask the Legislature to adopt our proposals in each house. These are sensible changes, mindful of the state’s fiscal challenges while endeavoring to stabilize the state’s Medicaid home care program, its patients, its workforce and the infrastructure that supports them. Most people equate home care with eldercare. “Aging in place” is vital, yes, but home care providers serve all demographics and myriad conditions, including medically fragile children. The state incurs huge Medicaid expenses for pediatric cases that fall outside the parameters of insurance. Quick admission to home care is critical for quality of life and Medicaid efficiency. 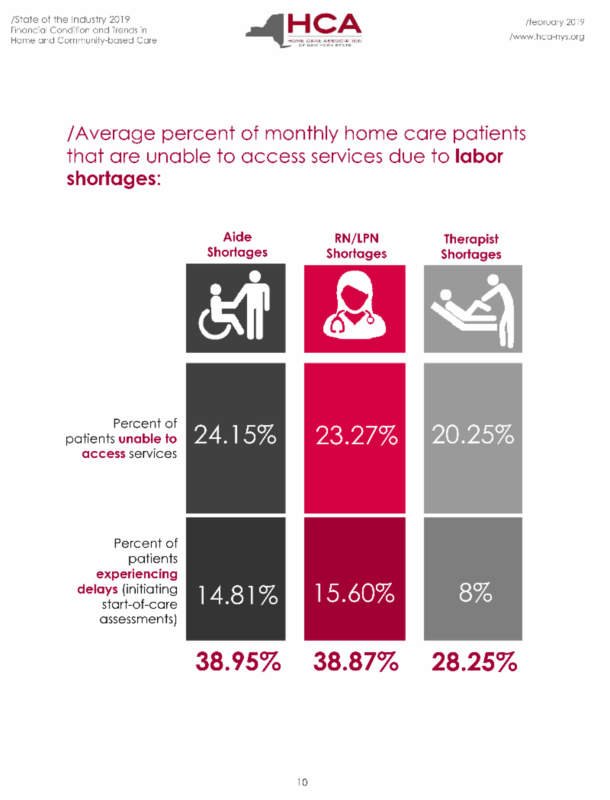 Data from HCA's financial report show that nursing shortages resulted in NY home health agencies being unable to accept 23% of cases while causing a delay in start of home care for 15% of cases . Equivalent numbers are shown for home health aide or personal care aide shortages. This is especially concerning given the growth expected from the home care sector in the coming decades. ( See our report for details .) A holistic, structural and evidence-based approach is desperately needed. New York City-based HCA Member Selfhelp Community Services offers a wide range of programs and interventions, from senior housing to case management and home care, which help individuals "age-on-pace," providing an environment that supports the optimal health of residents with the appropriate level of targeted services at the appropriate time. 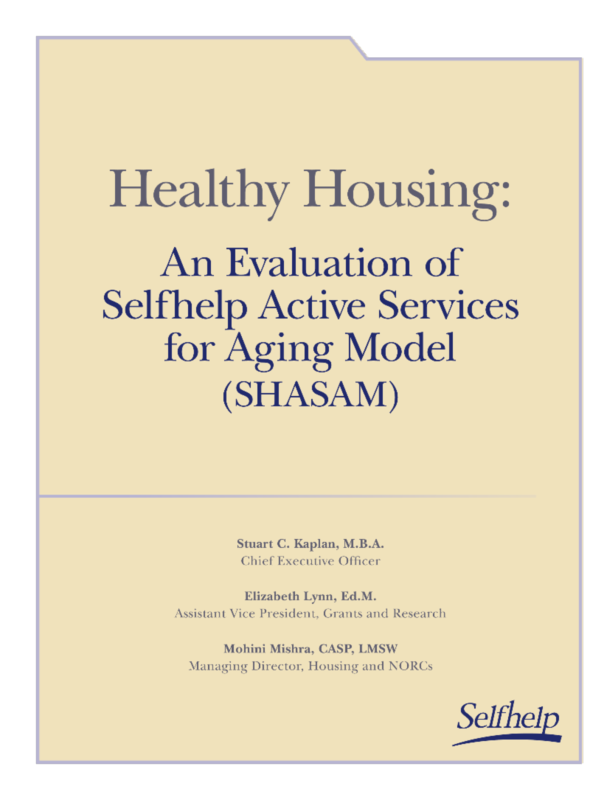 This breadth of services, coupled with pioneering service delivery models, has made Selfhelp an especially fitting subject for a recent study on the effectiveness of supportive housing and community-based service delivery in addressing social determinants of health, ultimately saving big on Medicaid (as well as Medicare) costs. We urge state policymakers to look closely at Selfhelp’s outcomes in light of HCA’s budget proposals to address health disparities and social determinants of health.